Ever since Nintendo launched the first Mario game, introducing us to what was about to become the world's most famous plumber, the world was charmed by side-scrolling games. While such games have faded out of popularity on the PC and consoles, the mobile landscape turned out to be the perfect incubator for side-scrolling games to regain their lost popularity and reach new heights in terms of gameplay. When compiling this list of the best side-scrolling games for Android, we aimed to diversify our picks as much as possible. As such, we've selected games based on multiple criteria such as graphics, gameplay, and atmosphere. Another thing that we'd like you to bear in mind that these are just a few recommendations to get you started. The Google Play Store is riddled with side-scrolling games, and you'll certainly find other interesting titles lurking in the shadows of the store. If you're new to side-scrolling adventure games, then make sure to get your hands on Badland as a starting point. In Badland, you play the role of a funny-looking character that has to progress through various levels by finding a path from start to finish. While the storyline is definitely not the game's strong point, you'll probably be too impressed with the high-quality graphics and the phenomenal soundtrack to note that the story isn't very complex. In terms of controls, there couldn't be a simpler game than Badland, as the movement is handled by touching the display. While the controls are simple, the puzzles can be quite complex towards the end of the game, with an abundance of obstacles and traps to be avoided. At the moment, there are 100 levels available, each one of them unique, and the developer says that more will be coming through future updates. Aside from the regular single-player mode, you can also engage in one of the two multiplayer modes. If you want to compete with your friends, try the local multiplayer mode and make sure to beat your friends to the finish line. Otherwise, you can play a modified version of the single-player campaign in a co-op mode. If it weren't for its paid nature, Leo's Fortune would have rested at the top of our preference chart when it comes to side-scrolling games. Even at $4.99, which is a steep price for an Android game, Leo's Fortune is still one of the best all-around games available in the Play Store. As the title suggests, the game lets you play the role of Leo, a furry creature that lost all of its hard-earned gold after being robbed by an unknown thief. Your goal is to progress through the levels, reclaiming your lost gold as you walk on the steps of your enemy. The premise is simple enough to get everyone going, but the game mechanics are anything but so. You'll have to make your way through physics-based puzzles found in various environments - ranging from forests to deserts and pirate cities - before completing all of the 24 levels currently available. Manuganu brings an interesting twist to the side-scrolling recipe. As the genre's name suggests, most side-scrolling games get you racing from a start point in the left to an end goal in the right of the level. In Manuganu, however, the developers have added an extra dimension to the gameplay, as the boy character of the game can also climb ropes to get past obstacles. Speaking of obstacles, you'll encounter a lot of them in your path towards completion. Swinging hammers, rocks, flames, moving ice blocks, these are just some of the obstacles that Manuganu has to overcome to earn as many coins as possible and reach 100% completion mark in each level. Limbo, the highly popular 2D-scroller game that was initially released on consoles and the PC a few years ago, landed in the Play Store back in February 2015, becoming an instant classic after its arrival. In Limbo, you play the role of a young boy on a search for his lost sister. To progress towards his goal, the player has to overcome numerous obstacles in a dark and dreary forest. Each level is beautifully crafted, and the monochromatic nature of the world lends some gruesome notes to the atmosphere in the game. If you're into dark mysterious worlds, then spending $4.99 to get the full version of Limbo is a real no-brainer. If you're looking for a side-scrolling game for your kids, then skip past darker titles such as Badland and Limbo, and download Mickey Shorts instead. In many ways, especially the visuals, Mickey Shorts is as close as you can get to a Super Mario clone on an Android smartphone or tablet. There are 84 different levels in 6 unique environments to progress through, and if the player ever gets bored of how Mickey Shorts looks, there are 170 different disguises to try out. Mickey Shorts doesn't come with very challenging levels if all you want is to get to the end goal. But if you want to earn three stars (the maximum) in each level, or accomplish the in-game achievements, you'll have to breeze past the levels in very short time. He said Android! There are also articles for iOS apps, - get to 'em Period. Paper Monsters, Ariel's World, Rayman Fiesta Run are some of my favs. 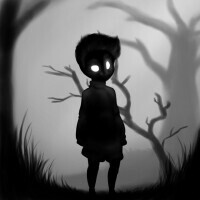 Haven't had the chance to play them, but I have tried Limbo, it's dark and twisted, I love it. You should give it a go when you can. I love Valiant Hearts and Never Alone, although the latter is an Nvdia Shield exclusive. Type:Rider is such a classic. The new game Rayman Adventures is pretty good.....as long as the server is working.